No, not where it starts, where it reaches out to. Pretty sure it goes out behind The Beast. Yeah! it's supposed to be in the area around TC, and The Beast, heading toward the Beast! 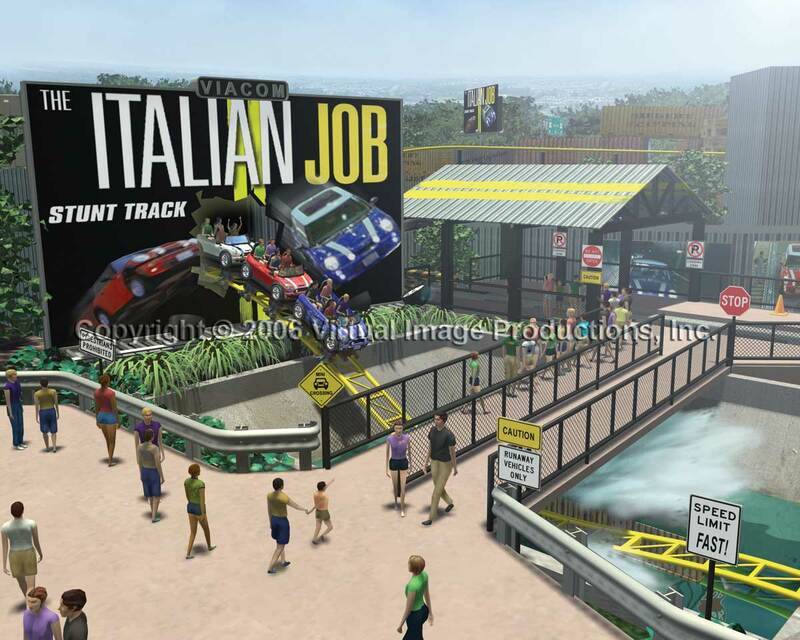 Well, just checked out ScreamScape, and they have a few photos of their own. Don't most new coasters come pre-painted? And I would imagine they already started to make the track pieces. But thats just my guess. Yeah, they've probably decided on the color by now. I'll put my guess out there that it'll be dark green track with brown/tan supports. I'd like to see a color scheme like Wildfire. I just hope it won't be some color bright enough to stop traffic!!! Like saide before I got wiff of what's to come saturday night I think most of you if not all of you will be happy and surprised also RT is getting a themed overhaul to a more **Tropical** setting.I'm upset that Swan Lake is gone and the picnic area(behind WINGS) is gone. Tropical my @$$, you can't give any details, just vague hints. And you do this all the time. Why not something substantial for once if you're so in the know? Boys and girls, look around you, there are two parks to the north of Kings Island that are giving away big hints on their websites, all you have to do is some detective work. Look at the trends and be logical. A tropical theme, not in 2009, not in RIVER TOWN. I would bet that all but the name have been picked out. The design company would submit a 3D rendering of the coaster on some kind of CAD program. Although...how cool would it be if they just used Rollercoaser Tycoon? Tropical my @$$, you can't give any details, just vague hints. LOL :lol: Yeah I messed up I didn't mean tropical(I'm so stupid that's what I get when I drink a beer and log onto the forums!) I ment Amazon more of that type of feel but you have to admit Tomb Raider doesnt fit into RT very well. I actually thought tropical might be interesting...but not once fall rolled around. I think Rivertown is long overdue for a facelift...hopefully he knows what he is talking about...and even if he won't share all the details I have faith he does know something that is in the works. Thank you standbyme as for a color I'm sure they have the colors they want picked out. Although...how cool would it be if they just used Rollercoaser Tycoon? Of course though, NoLimits Professional wouldn't be bad either. Wasn't Voyage done on No Limits Pro as well? Yah, it was. I always wondered what the differenced were between NL, and NL Pro. I always liked how they used a Voyage picture for their ride. Amazon my @$$. Rivertown is staying Rivertown. Look to the north, in the chain, follow the trends. In my opinion, I hope Rivertown stays Rivertown. 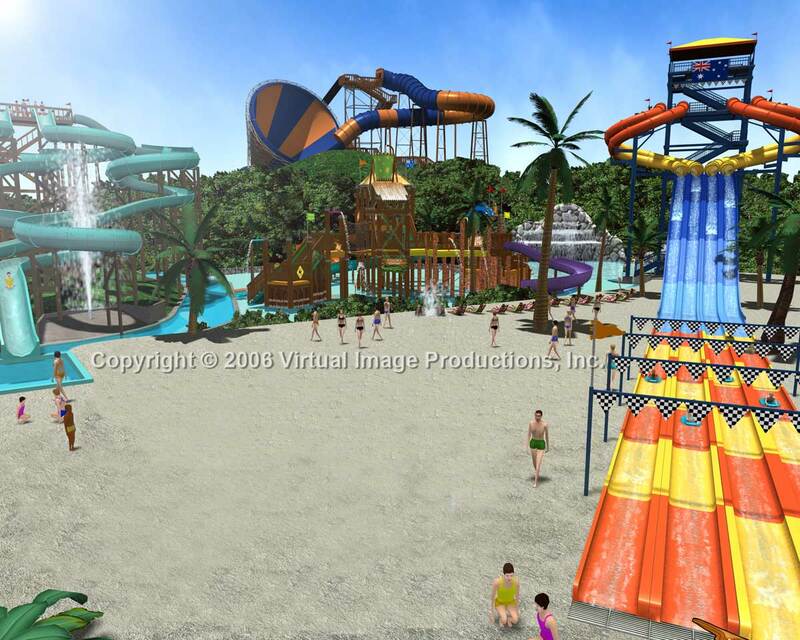 Tropical/Amazon seems too much like a water park. Draining a lake, cutting down trees, and building a B&M coaster can't be cheap... I doubt KI would also want to spend money on re-theming a section of the park, but that is just my opinion. Yeah, we have the Aussie theme in Boomerang Bay, plus Wild Thornberrys. I'd say that's enough of that. Rivertown is a good area and one of the few themes that Cedar Fair does a pretty good job with recently. Exaclty, look how well they kept up that theme in Sandusky and how they "re-vamped" it with Maverick. This project looks big judging by Paul and Don's excellent photos, I doubt they'd spend the time to re-theme the entire area unless it was to give a facelift to the current theme. I never said all of RT would be getting re-themed I love River Town I miss how it was in the 80's and early 90's I miss the vine tunnel most of all. I would be happy if they did update the area. I always felt TR was out of place, and almost took something away from the area. A re-theme could possibly make it look like it belongs. but will not be able to tell until we start seeing the track sitting out front of the plant in batavia. as of 2 weeks ago there was dive machine tracks out in front.